The NCCC and Bennett Scott are happy to announce the release of the “Poudre Falls Guidebook, 2nd EDITION”. 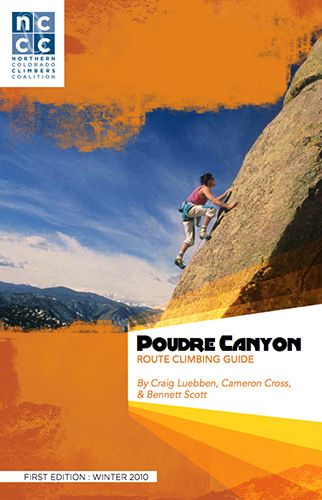 The new edition has over 30 new routes in it including the addition of the East Side areas. 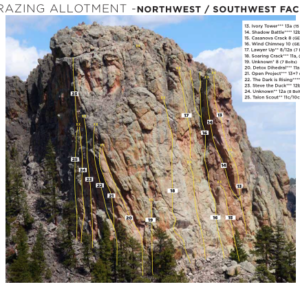 We would like to thank everyone who helped bolt new routes, work on trail building, giving belays and general stoke over the course of this past summer. Area’s like this don’t happen without a lot of help and support. 1. Better mobile navigation. 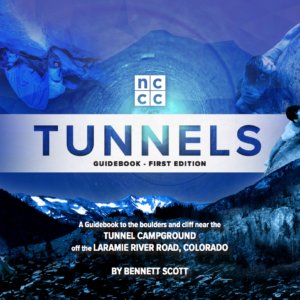 The 2nd edition is setup with tons of hyperlink features that make navigating the document much easier. Just tap/click on any of the Main Menu listings to jump to different sections of the guide. A “MENU” button has been placed on each page to easily navigate back to the main menu. 2. We suggest using the Adobe Acrobat Reader on your mobile device to navigate the PDF accurately. 3. 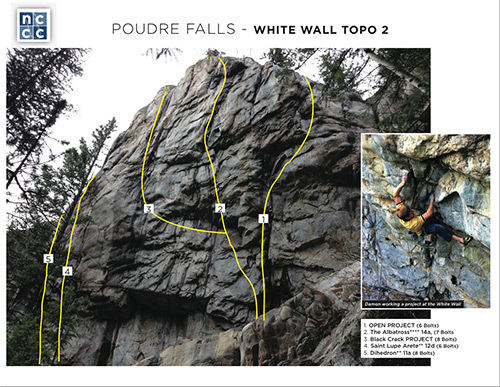 A proper Route Index has been added at the end of the PDF. 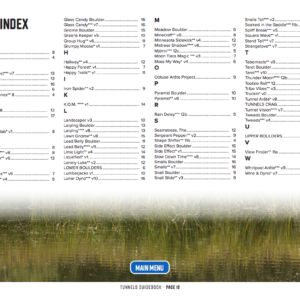 Click on the page numbers to navigate to any of the Index listings. 4. High Resolution is now available. With the addition of so much beautiful photography to the 2nd Edition we felt it only proper to offer the guide in its full resolution glory. 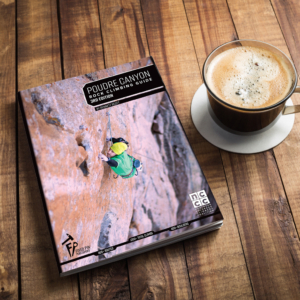 We hope you enjoy the new release and look forward to seeing you at the cliffs!! 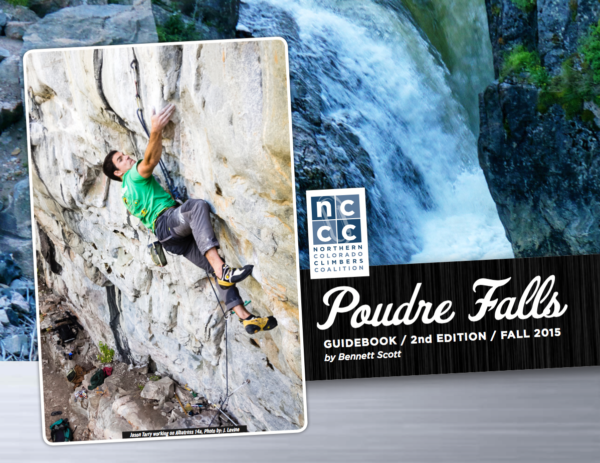 The Poudre Falls Guide 2nd Edition by Bennett Scott is the updated comprehensive guide for the Poudre Falls area in the Poudre Canyon, Colorado. This area began development in late fall 2012. 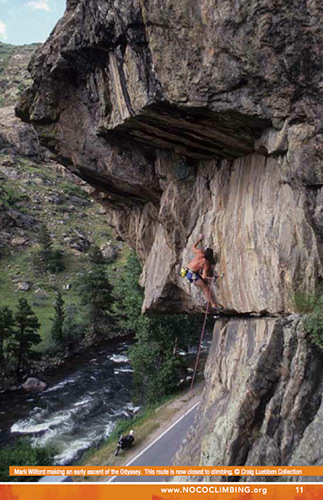 The climbing consists of mostly bolted sport routes with a few mixed lines and boulder problems as well. A well balanced area with grades from 5.8 to 5.14. 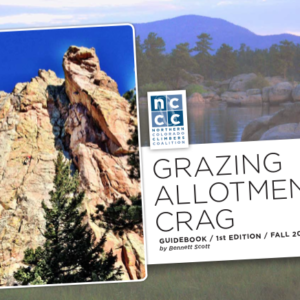 A perfect Summer / Fall crag if your looking for something new in the Northern Colorado area. Categories: Guidebooks, Guidebooks. Tag: Guidebook.